A small business with an uneven or unpredictable income stream. A regular job that is supplemented with freelance work that comes and goes. A job that often involves overtime pay. An employment compensation plan that involves commissions or bonuses. A professional who has an ownership stake in their company which pays out a share of profits at the end of each year. 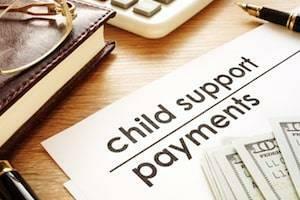 In addition, Illinois divorce law (750 ILCS 5/505a5) requires that child support orders state the required monthly support payment as a specific dollar amount. But when a parent’s income varies from month to month, how does the court arrive at an appropriate dollar amount? Illinois law provides several methods for ensuring that children receive the full financial support to which they are entitled. One option is to break down the monthly child support obligation into two components. A fixed dollar amount will be set based on the parent’s minimum expected income, with a supplementary amount to be calculated as a percentage of their actual income. Alternatively, the court may look at the parent’s average income over the past few years and come up with an average monthly income on which to base the child support payments. When one of these methods is used, the child support order will typically include a provision requiring the parties to exchange financial information on a quarterly or biannual basis. The child support obligation for the prior period can then be calculated based on the parent’s actual income and an appropriate extra payment or credit toward the next month’s payment can be made. Finally, either party can petition the court to modify the child support order when there is a substantial change in circumstances. If you are concerned that your spouse is not paying their fair share of child support, consult an experienced Lombard child support attorney to discuss your options, including modification of your child support order. Call Mevorah Law Offices LLC at 630-932-9100 for a free initial consultation.